The Shop.org Annual Summit 2013 has come to a close and we're back in our Austin and San Diego offices inspired and optimistic about the future of digital commerce. 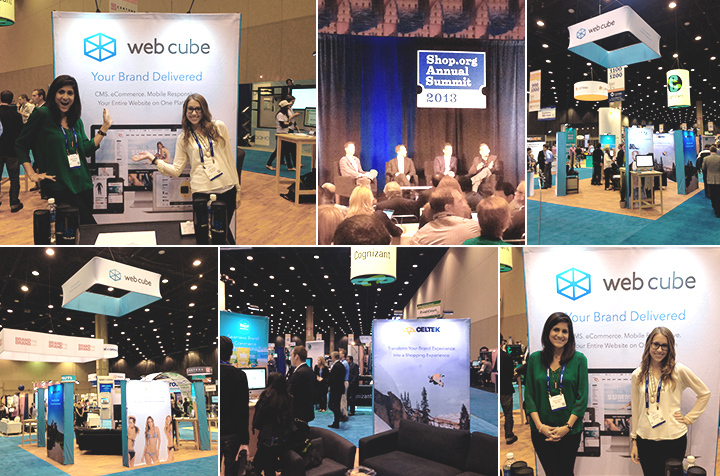 Between the breakout sessions, keynotes and our booth, we rubbed shoulders and shared stories with the top digital strategists in the industry. Throughout the week we gave live demos of Web Cube's latest mobile responsive 4.3 web platform release which struck a chord with both mid-size and enterprise brands quite keen on Web Cube's turnkey solution for branding and eCommerce. We also had the opportunity to illustrate just how robust our platform is at a roundtable discussion with must-have yoga gear brand, Manduka's Pete Garbowski. 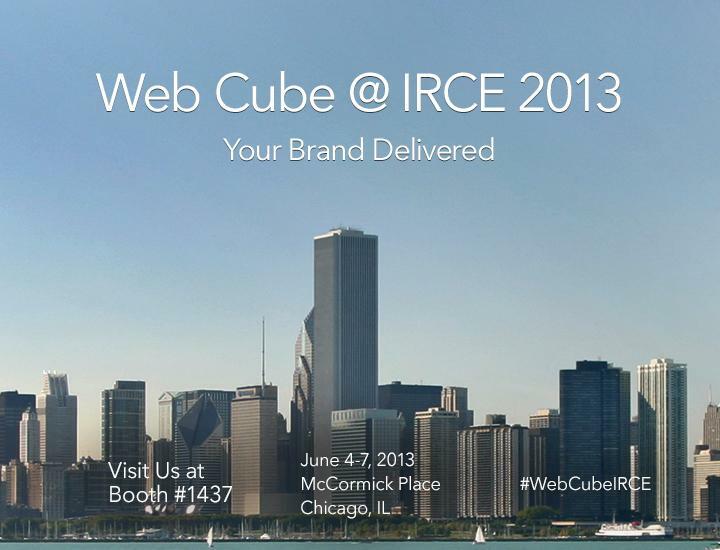 Pete shared the brand's eComm success since implementing Web Cube for their CMS and eCommerce website. So many great connections and takeaways from the show, however the top topic we're already planning for Shop.org 2014 is going global. 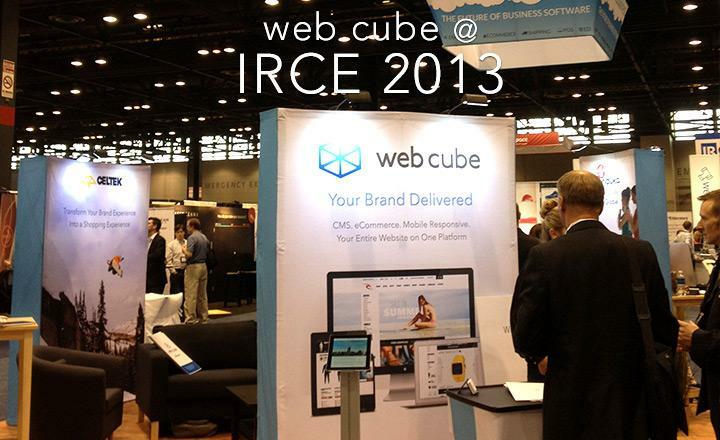 The very near future of Web Cube will provide more advanced, international features for our clients' exponential growth and opportunity to sell and market globally. Who said flow could only be found on a yoga mat? Living in a digital world, a state of flow can be experienced just about anywhere, and when it comes to a brand's eCommerce presence, creating the perfect flow for customers is critical considering online sales will grow from $225.5 billion to $434.2 billion by 2017. In this Shop.org roundtable, Chief Visionary behind Web Cube, Aaron Cuker and yogi must-have brand, Manduka's Pete Garbowski will discuss the key elements that every emerging brand needs to create the ultimate online store. The discussion will incorporate best practices to offer an intuitive, dynamic, and engaging retail experience online as well as the imperative steps to capture and convert customers through a branded eCommerce experience. The duo will additionally discuss how Manduka leveraged Web Cube to launch their current CMS and eCommerce website which has resulted in 6x online sales growth to date. 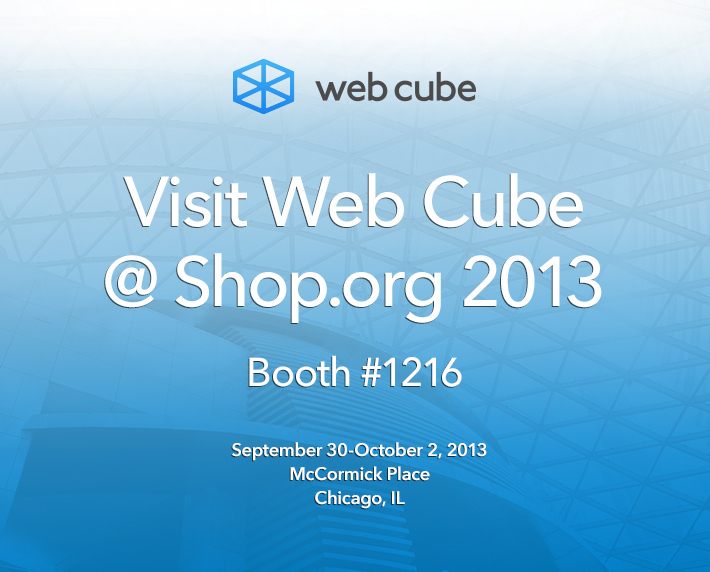 Learn more about Web Cube at the Annual Shop.org 2013 here. 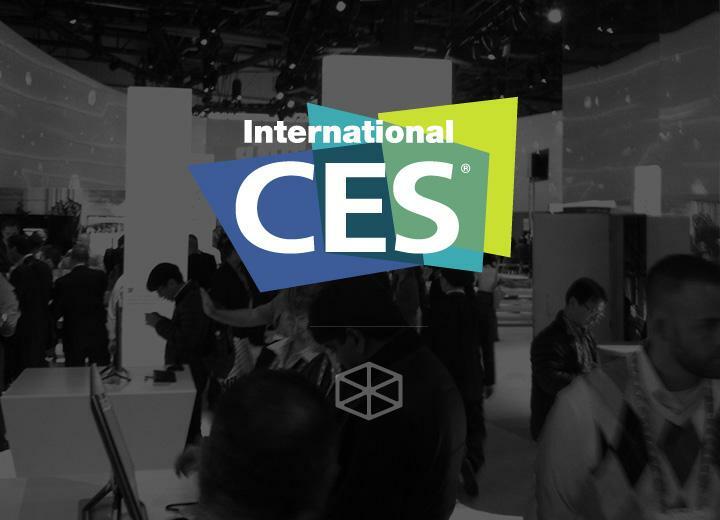 The Web Cube team has returned from Las Vegas after another successful year at the Consumer Electronics Show (CES), the world’s largest technology trade show. We joined over 160,000 technology executives, journalists, and analysts for a jam-packed week of new product releases and conference speakers. We were also proud to congratulate Web Cube customer Technicolor for winning the Videomaker Spotlight Award for their new color correction software CineStyle Color Assist. In the wake of Google's recent self-driving car experiment, both Audi and Lexus released their own technology at CES 2013. Audi showcased a car that can park itself inside a garage after dropping off the driver, as well as self-drive during a stop-and-go traffic jam. Lexus demonstrated an autonomous, self-driving car with a focus on advanced safety features (and like Google, also requires a driver behind the wheel in order to operate). While the technology is promising, both cars are several years away from market release. Pebble's innovative E-Paper Smartwatch uses e-ink display and features phone (via Bluetooth 4.0), texting, Facebook, Twitter, calendar, music, and fitness app functionality, while also integrating with smartphones. After receiving funding from a successful Kickstarter campaign in April, Pebble has finally announced January 23 as the release date for their sought after e-paper watch. Samsung showcased the newest model of its T9000 Refrigerator, a “smart” fridge with a 10-inch LCD touch screen that integrates with the app Evernote to allow users to manage and share recipes, shopping lists, calendars, photos, videos, and more. While price and release date have not been announced, Samsung will release the fridge without LCD in the spring for $3,999. Mark your calendars! 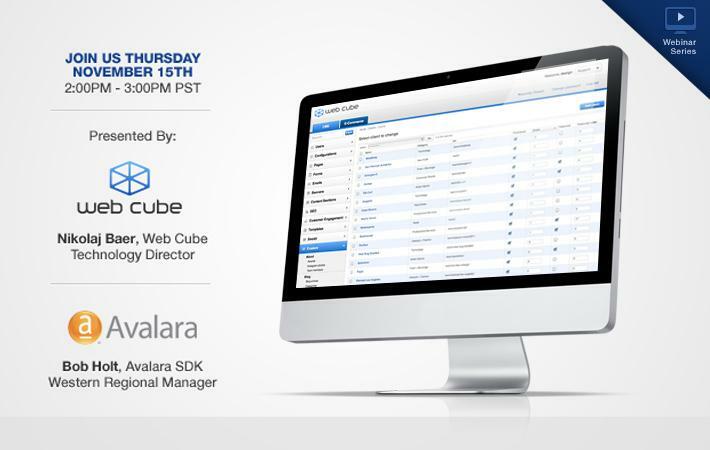 Next Thursday, November 15, Web Cube will be co-hosting a webinar with our sales tax partner Avalara. Join us from 2:00pm to 3:00pm PT to learn how the winning combination of Web Cube and Avalara can simplify sales tax management, within a seamlessly blended brand and eCommerce website. This web-seminar is a ‘must see’ if your business is experiencing challenges related to sales tax compliance. Don’t waste additional time on manual compliance efforts; instead learn how your business resources can focus on revenue generating activities. More importantly you will gain the knowledge necessary to achieve compliance and reduce your exposure to suffering penalties from an audit. Join us November 15 from 2:00pm to 3:00pm PT and learn how you can avoid eCommerce sales tax headaches. Register today! This month, the Web Cube team headed to Washington, D.C. for DjangoCon 2012, the annual conference for Django developers to gather and share ideas. As a longtime supporter of the Django community, we were proud to be a Platinum Sponsor at the event. The conference was in full swing, with over 400 attendees from all sectors. We enjoyed meeting other djangonauts, handing out Web Cube t-shirts, and meeting with folks from the Mozilla Software Foundation, Django core team, NASA, the Library of Congress, Github, and many other fantastic organizations both great and small. Jason and Nikolaj both gave lightning talks about open source initiatives the Web Cube team is working on, such as Dockit-CMS and Hyper Admin. Jason and Kevin also participated in the sprints and gave back to the community by working on Django-powered open source projects. As an adopter of Django since 2006, we are excited to continue our support of the Django community and see a great future for the web framework. We look forward to sponsoring future events and furthering our engagement with the community. We’ll see you at DjangoCon 2013 in Chicago! 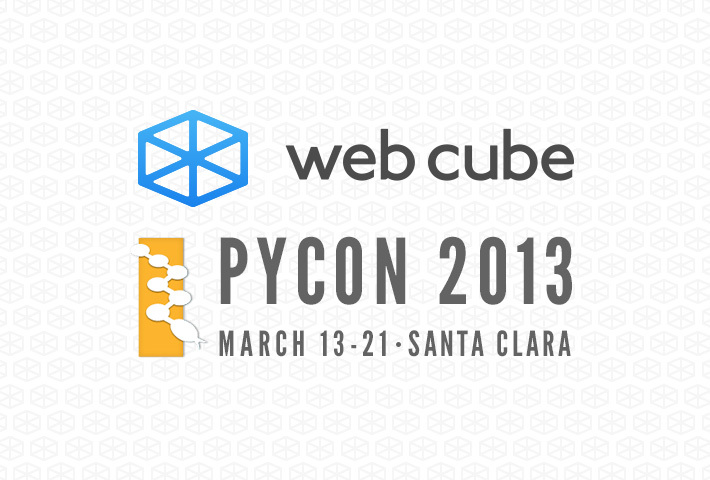 The Web Cube team attended the 2012 jQuery Conference in San Francisco to listen, learn, and converse about the past, present, and future of jQuery. The Web Cube team returned to San Diego energized and inspired by the conversations and insight shared at this year's jQuery Conference in San Francisco. We can't wait to make our digital properties even better and faster!